The newly founded Hubert von Goisern Culture Award for the advancement of talent and perseverance is granted for outstanding commitment and achievement in art and culture in general, with a focus on music in particular. Together with a three-member jury, whose members are anchored in the cultural world in a broad spectrum of ways, Hubert von Goisern chooses artists whose creativity and efforts deserve and require support. This annual culture award allocates €10,000 among each year's prize winners. The application period for this year's award closed on 31st March and the winners will be announced in May. The Amadeus Awards nominations have now been announced and we are delighted to say that Hubert von Goisern has been chosen by the Austrian music award's expert jury once more. After the success of the double album Federn Live, which was flavoured with country, bluegrass and zydeco, Hubert is nominated in the category Jazz/World/Blues! The winners will be announced on 26th April at the Vienna Volkstheater. New live album out now! 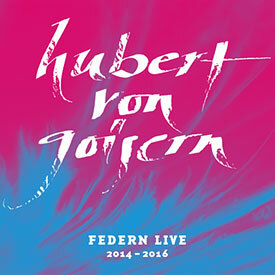 The finale encore of the Federn Tour may have been played, but now fans can get their hands on the perfect memento of the many concerts that took Hubert von Goisern and his musicians across Europe and across the Atlantic: the live double CD Federn Live 2014-2016 is out on 21st April 2017! Figurehead of the Licht ins Dunkel 2016/2017 album is Hubert von Goisern, who graces the cover of the fourth annual edition of the charity's compilation CD. More than 20 diverse Austrian artists – established stars and newcomers alike – alongside HvG have donated their music to this good cause. For each album sold, 5 Euros goes straight to Licht ins Dunkel. It's a musical treat that both sounds good and does good! On 3rd April the Volkstheater in Vienna once again played host to the great and the good of the Austrian music scene when the Amadeus Austrian Music Awards brought together artists from across the musical spectrum. With the votes from the public and the jury counted, Hubert von Goisern was announced as the winner in the category Male Artist of the Year! This win constitutes his sixth Amadeus Austrian Music Award in total. 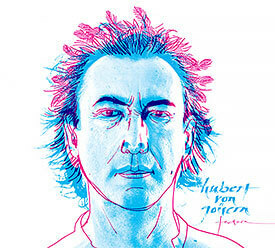 Hubert von Goisern on tour - in Europe and the USA! Hubert von Goisern and his band will be on the road again in 2016, taking the Federn Tour 2016 worldwide. The album Federn was the result of musical expeditions to the southern states of the USA, where Hubert von Goisern soaked up the musical heritage, the blues, country, jazz and Zydeco to be found among the swamps of Louisiana and in the home of country music, Nashville, Tennessee. These rhythms and sounds didn't need to be cobbled together, they fit like a glove with Hubert's Austrian sound - as if there had never been any other way. And now Hubert von Goisern is taking this fusion of the Austrian Alps and the American South back across the Atlantic. In March 2016 the Federn Tour has its premiere in New York. After two dates in the Big Apple, the whistle-stop tour heads to Washington D.C. and finally the renowned South by Southwest Festival in Austin, Texas. European audiences can catch the tour in late summer and autumn, when HvG and his musicians play 20 dates through Germany and Austria. 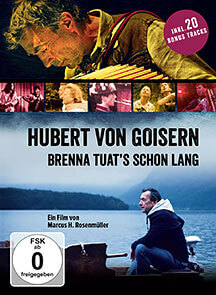 Hubert von Goisern: Brenna tuat's schon lang - on DVD and Blu-ray! Hubert von Goisern has been playing European stages for a quarter of a century - as Austria's musical ambassador, as an innovator of folk music, as someone who dusts off the traditional and as an individualist. Quite simply: as himself. Hubert von Goisern has never done what was expected of him and has found success that way. 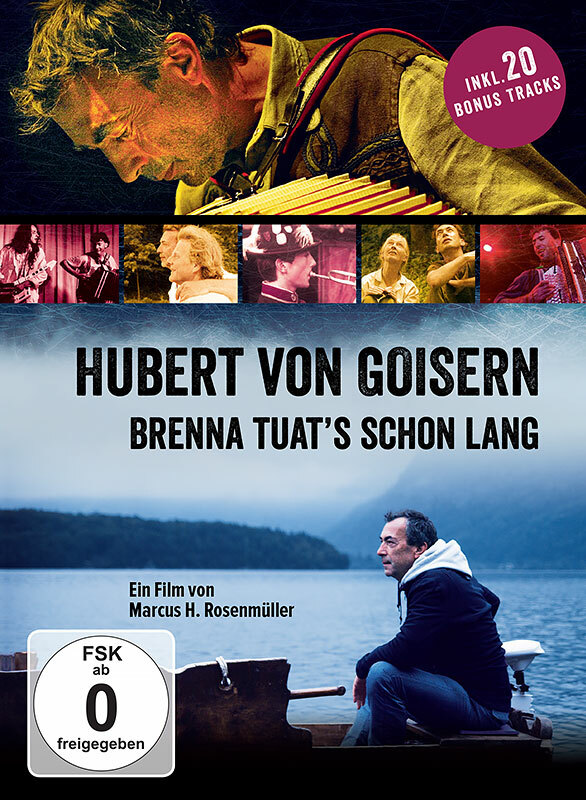 With Brenna tuat's schon lang director Marcus H. Rosenmüller has made a documentary that portrays Goisern the man up close and personal. Brenna tuat's schon lang is a film about Hubert von Goisern's inner and outer journey. About an artist who - although impossible to assign to any one musical genre - consistently takes the music of his homeland as the root of his creativity. It is a film about his breaks and changes of direction. And it is a film about his music. 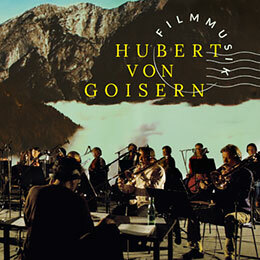 The hotly-awaited new album from Hubert von Goisern! Charts: 22.05.15 New entry - Federn at #2 in Austria / Alle 100 Jahr at #39! 15.05.15: New entry - Federn at #6 in Germany! Hubert von Goisern has the blues. Hubert von Goisern also has: variegation and the shimmering energy of New Orleans. This special southern states feeling. He balances all this on the basis of his own tradition, which comes from the Alps in terms of geography, but is practically the whole world in a musical idea. The new studio album Federn will be released on 8th May 2015. Hubert von Goisern on tour in 2015 with new album "Federn"
Hubert von Goisern has been on a musical journey through the south of the USA. And what he has brought back with him is carefully crafted, from the powerful rock numbers and swinging country songs to the heavy-hearted ballads. Pedal steel and electric guitar, cajun and accordion. It's all Goisern. Federn is light work: the rhythms of country and bluegrass music needn't be cobbled together, they fit like a glove with the Austrian sound - as if there had never been any other way. It's extraordinary how Hubert von Goisern manages this time after time: you simply feel as though the whole world is your home. The new studio album Federn will be released on 8th May 2015! 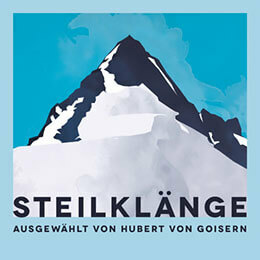 An approach to 150 years of musical history from the Alps: on Steilklänge Hubert von Goisern has gathered jewels from six alpine countries. 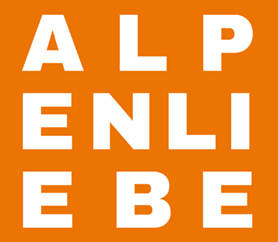 From classic to the unusual - the compilation offers an exciting introduction to alpine culture. Traditions, musical ones in particular, are sources of inspiration, friction and monuments of agreement. Or they can be the opposite: demarcation and exclusion. When Hubert von Goisern was asked to curate a selection of music from across the Alps for an exhibition on Franz-Josefs-Höhe on the Grossglockner High Alpine Pass, it was a welcome opportunity to once more take a close look at the musical heritage of alpine culture. On 30th January 2015 renowned director Joseph Vilsmaier's new film Osterreich: Oben und Unten will be coming to the silver screen. The documentary is a journey through Austria, showing the beauty and character of all nine provinces from the ground and from the air. The film's soundtrack was created by Hubert von Goisern and will be released on the album Filmmusik in October 2014. Hubert von Goisern is his own man. 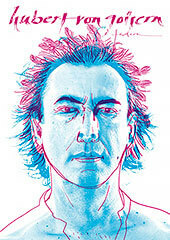 He has consistently avoided complacency and has unerringly gone his own musical way - for more than 25 years. In the early 1990s the Austrian became known as the inventor of alpine rock. His Hiatamadl broke through the conventions of alpine folk music and brought tradition up-to-date. Pop music was once more what it should be: music for the people. Music from the people. Travelling, exploring foreign cultures are creative challenges and inspiration for Hubert von Goisern. He was drawn to travel to Asia and Africa, he has sailed a cargo ship converted to stage along the Danube to the Black Sea. He returned with a rucksack full of ideas and sounds, withdrew, gave rise to new songs. In 2012 he landed his first number one hit with Brenna tuats guat, which he acknowledged with placid pride - after all, he had not done anything musically different from before. What came next was the most successful tour of his career. Followed by a break: Hubert von Goisern hasn't performed live on stage since December 2012. And now? Back to the beginning. Hubert von Goisern doesn't like to repeat himself. His unpredictability is what is particularly exciting about Austria's most versatile sound ambassador. A new studio album is currently in the works. And finally: Hubert von Goisern & Band live on stage. Together with a broad spectrum of contemporary art from around 20 artists this multifaceted listening experience marks the 150th birthday of Richard Strauss and will be officially opened on 11th June 2014. The permanent exhibition will then be open to the public from the 12th June 2014 at the Kaiser-Franz-Josefs-Höhe visitors' centre on the Großglockner High Alpine Pass. 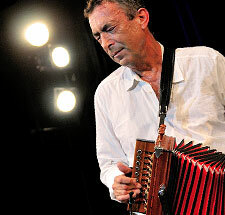 2012 was Hubert von Goisern's hitherto most successful concert year. On the Brenna Tuats Tour he and his band criss-crossed the German-speaking countries and played 101 concerts to more than 300,000 thrilled fans. 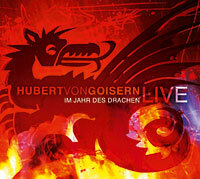 Now you can relive the magic of the tour with the live double album Im Jahr des Drachen. It holds on it eighteen atmospheric memories in song form and will be released on 21st June 2013. After great success at the Amadeus Awards in 2012 when he won two awards in the Album of the Year and Pop/Rock categories, Hubert von Goisern has been honoured again for his music this year too. At the Amadeus Austrian Music Awards gala in Vienna on 1st May, an honorary Amadeus Award was awarded to Hubert von Goisern in recognition of his music that continues to cross genres and bring people together. Hubert was unable to attend the ceremony and gave his thanks via video message. More than eleven years ago Hubert von Goisern fulfilled a long-held wish to record a collection of traditional Austrian folk tunes and songs that had accompanied him since childhood. 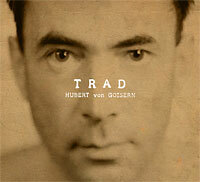 The result was the successful album TRAD, which was followed two years later by a second volume, TRAD II, recorded in an abandoned hotel on Krippenstein mountain. The new TRAD Special Edition Box Set contains not just these two special albums, but also the double release Ausland, consisting of a live CD from the Trad Tour that took HvG and his band through the German-speaking region in 2004 and the DVD Warten auf Timbuktu. This documentary follows Hubert on his journey to Mali, where he performed to an international audience among the sand dunes at the Festival au Désert and with ngoni-virtuoso Bassekou Kouyaté and balafon maestro Kele Tigi in the capital city Bamako. All the big names of the Austrian music business gathered at the Vienna Volkstheater for the Amadeus Austrian Music Awards on 1st May. 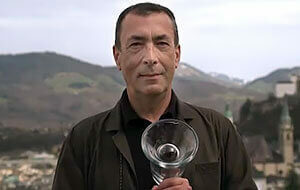 After a long stay in the charts with his album Entwederundoder, Hubert von Goisern was able to take home not just the award in the category Pop/Rock, but the prize for Album of the Year too. Together with his band Hubert also celebrated the evening on stage, playing Suach da an åndern before an enthusiastic crowd. In just a few weeks, the band will be back on the road, continuing the Brenna Tuats Tour through Austria and Germany. At the Red Bull Ring in Spielberg in December Hubert von Goisern was awarded precious metal in the form of two gold discs and one platinum for his current single and album. The new year 2012 soon brought with it platinum for the single and double platinum for the album. The album Entwederundoder was in the charts for fifty-six weeks, six of those at number 2, while the single Brenna tuats guat spent thirty-four weeks in the charts, spending five of those weeks at number 1. The song has also been in the German charts for 41 weeks. Top of the charts! Hubert von Goisern's new single Brenna tuats guat was at number 1 in the Austrian charts for five weeks! The CD single will be out on 4th November with not just the studio version, but also a previously unreleased live recording of the song. The album Entwederundoder stood at number 2 for three weeks and has now been awarded platinum! In Germany the album also achieved HvG's hitherto highest chart placing at number 13 in this country. On 13th January 2012 the Special Edition of Entwederundoder will be released, with a DVD containing the Tavern Tour film and Brenna tuats guat video. This book tells the story of the journey that Hubert von Goisern and his friends undertook on a cargo ship converted to a stage ship. With a floating, musical, singing village, as he called it, he sailed the Danube upstream and downstream through new Europe, from the centre to the very edges, from Linz to Rotterdam and down to the Black Sea. He tells of encounters with people along the river banks, of musical colleagues from a dozen different countries, of joint concerts, of the longing for freedom and distance and of a vision: unity in diversity. Music is the common language and the message. And Hubert von Goisern is an artist who carries this out into the world, who looks for understanding and exchange across all boundaries. And so he sets off on journeys, off to uncharted territory and returns time and again as a new person.